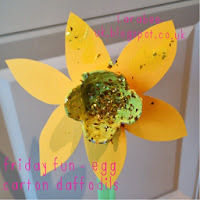 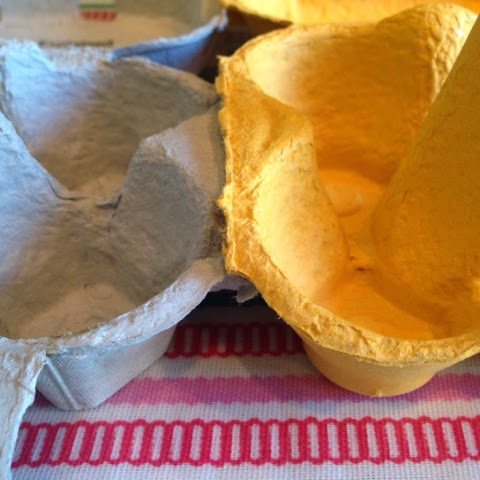 We recently made some cute daffodils from old egg cartons. 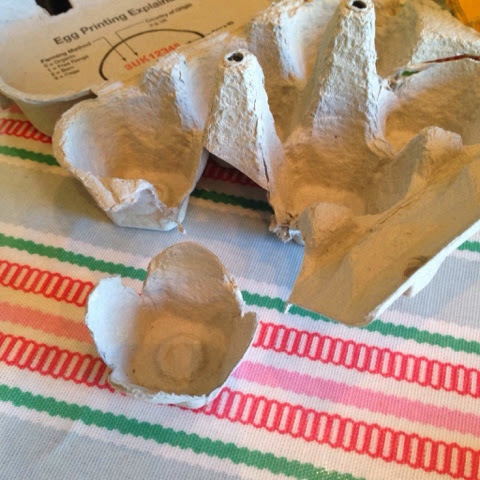 If like me you thought that you could cut a corner and use a yellow egg carton, beware, I thought that we could use a 'happy egg company' egg box, but when I started to cut up the carton I realised that the yellow boxes weren't quite deep enough to make the 'trumpets' needed for daffodils. 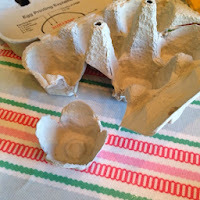 Start by cutting down the egg carton, rounding each of the petals, I did this before sitting down with T to start the craft. I also cut out a basic daffodil. 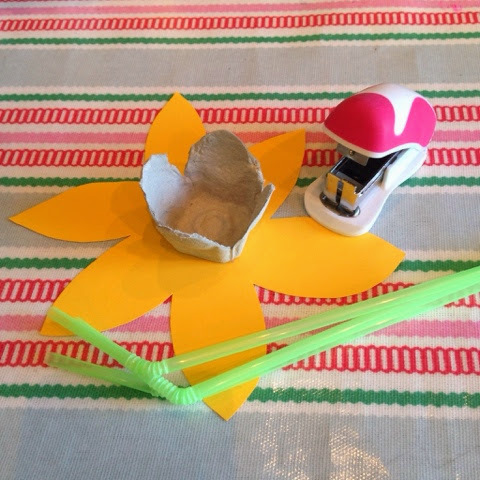 I stapled 3 straws to the petal, then Using pva glue, I attached the trumpet over the top of the staple. 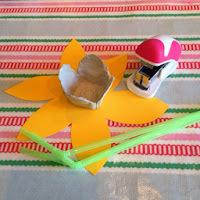 All of this I prepared in advance, as I know that T wouldn't be happy to just watch me using scissors and a stapler!! 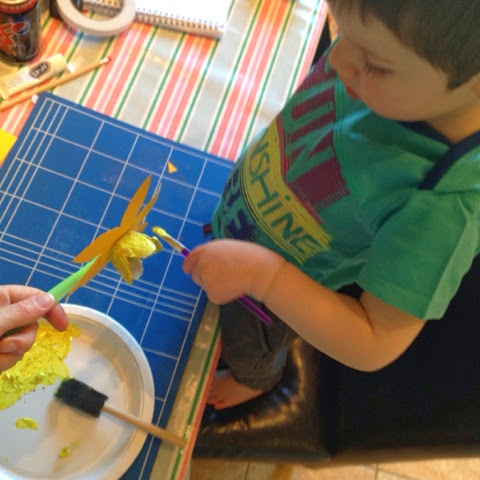 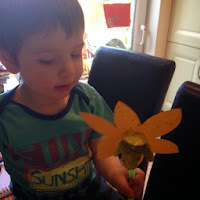 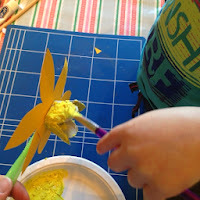 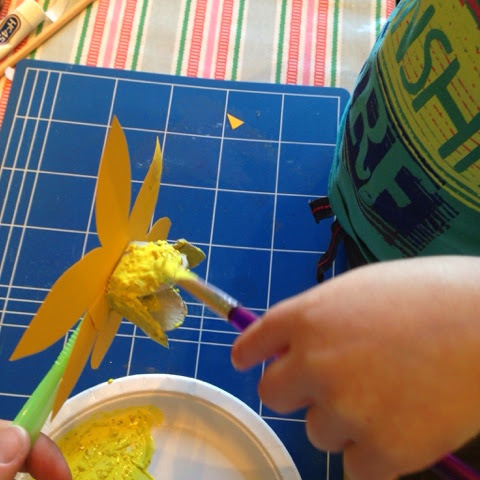 T loved using his paint brush and getting into the trumpet to cover with the yellow paint - I had the bright idea of adding gold glitter to the paint thinking it would shine through, but it didn't work!! 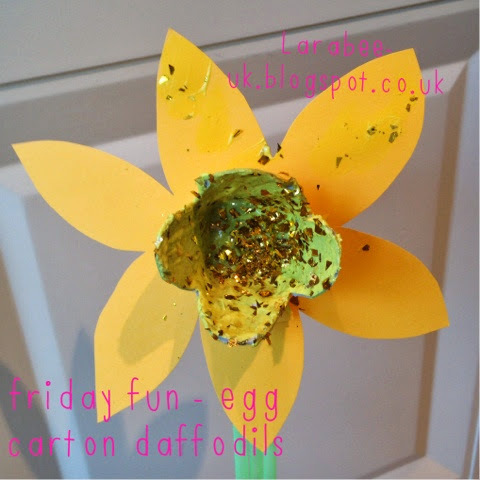 Once painted we sprinkled gold glitter into the trumpet.